Here is a much better Hungarian. 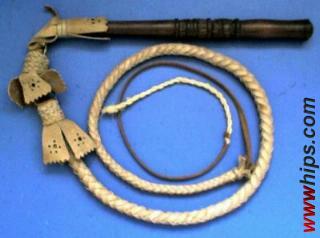 It has a heavy, 8plait cowhide thong and a long wooden handle with some carved decoration between shaft and handpiece. The removeable keeper revolves. Overall length 8ft, thong 4ft.